Writing in the Observer, Jamie Doward points out that Ministers have chosen to ignore warnings that residential and commercial property should not be built too close to the UK’s nuclear power plants. Documents released under FoI show that the government rejected advice from the Office for Nuclear Regulation (ONR), regarding the lessons to be learned following the Fukushima disaster. The ONR recommended restricting development near nuclear plants, advice that was overridden last week when the government approved the expansion of Lydd. A legal challenge is already underway against this decision. Lydd Airport Action Group (LAAG) did not wait for the decision by Ministers, as they had anticipated the worst and worked on a case last year. The European Commission accepted the case and has already started infringement proceedings under the pilot mechanism. Environmental NGOs have condemned the government decision to expand Lydd saying any benefits from the airport would be far outweighed by the environmental damage to the area, and expansion would irreversibly damage specially protected areas nearby. Ministers have chosen to ignore warnings that residential and commercial property should not be built too close to the UK’s nuclear plants. Documents released under the Freedom of Information Act show that the government rejected advice from the Office for Nuclear Regulation (ONR), regarding the lessons to be learned following Japan’s Fukushima disaster. The regulator recommended restricting development near nuclear plants, advice that was overridden last week when the government approved the expansion of Lydd airport in Kent, a couple of miles from Dungeness nuclear power station. Weightman felt that the current planning control system did not go far enough. His argument was then backed by the ONR, which recommended to the Department for Energy and Climate Change that there should be “a review of the adequacy of planning controls governing the construction of residential and commercial developments near nuclear power plants”. The regulator demanded that the constraints should be incorporated into the National Planning Policy Framework, the government’s new overarching document which determines development and has proved controversial with some heritage and environmental groups because of what they perceive to be its “pro-build” ethos. The ONR also sought “statutory consultee status” so that its regulatory advice would be given more weight in planning matters, and even wrote to the Department for Communities and Local Government calling for national planning policy to treat safety and security developments in the vicinity of nuclear facilities similar to flood risks. The regulator was determined to check future house-building and commerical expansion near nuclear plants. In 2010, the ONR had outlined the case against the building of new homes next to Aldermaston atomic energy facility, only for the secretary of state, Eric Pickles, to reject its objections. In a letter to DCLG, obtained by the Observer, the ONR explained that the Aldermaston case “highlighted the fact that nuclear administrative arrangements for developments around nuclear installations have not been modernised and incorporated into the current national spatial planning framework. This means that appropriate weight is not given to nuclear safety and security concerns in the planning balance”. But the energy department rejected the thrust of the regulation office’s demands. Instead, the NPPF stated only that planning policies should be “based on up-to-date information on the location of major hazards” and that “local planning authorities should consult the appropriate bodies when planning”. 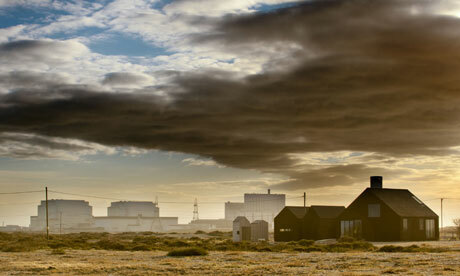 The area around Dungeness is one of the “wastelands” or wilderness areas in the South East. This is so important to the soul. I whole heartedly support the objections and RSPB et al here. The irony is that an area of peace and beauty in this country is being destroyed so that more idiots can “get away from it all” to spend two weeks among crowds huddled around a concrete swimming pool in Spain. A legal challenge is already underway. Lydd Airport Action Group did not wait for the decision by Ministers, as they had anticipated the worst and worked on a case last year. The European Commission accepted the case and has already started infringement proceedings under the pilot mechanism. Green groups are considering requesting a Judicial Review, after the government gave the green light to controversial plans to expand an airport in Kent, even though it backs onto two major sites of environmental interest. A two-year public inquiry into the £25m expansion of Lydd Airport yesterday concluded the project could go ahead. The Saudi owners of the airport now hope to start work to extend the runway by nearly 300 metres as soon as possible. But green groups, including RSPB and the Campaign to Protect Rural England (CPRE), roundly condemned the decision, arguing that any expansion would irreversibly damage specially protected areas nearby. The groups are now seeking to overturn the ruling, on the grounds that an expansion would contravene European Union laws. However, Natural England, which was previously leading oppostion against the expansion, today accepted the ruling of the Secretary of State, adding that it would now work closely with the airport to minimise environmental damage. Lydd, also known as London Ashford Airport, nests in one of England’s most environmentally sensitive areas, backing onto the Romney Marsh and the Dungeness Peninsula, which is protected under the EU Habitats Directive and the Birds Directive. The Green Party has argued that the expansion, which would accommodate an extra 500,000 passengers each year, would increase carbon emissions and could lead to the local area becoming industrialised. Meanwhile, CPRE raised concerns about nuclear safety, maintaining the airport’s close proximity to Dungeness nuclear plant was not addressed during the inquiry. The RSPB’s conservation director, Martin Harper, added that the decision ignored the views of local people who voted two to one against the plans in the only formal referendum on the issue. “This is the wrong decision as it opens the door to real damage to Dungeness, to its wildlife and the quality of life for many of its residents and risks destroying a unique asset that is enjoyed by hundreds of thousands of people,” he said. “Dungeness is a special place for nature which is recognised globally for the importance of its wildlife, this decision means nowhere is safe and signals that nature is in trouble in the face of unfettered growth – these are worrying times for all who care for Britain’s wildlife’. The decision also prompted accusations the government was attempting to bury the news amidst the extensive coverage of the death of Margaret Thatcher. Others predicted that the decision marked a shift in government policy to prioritise economic growth over environmental concerns when considering the expansion of other airports in the South East. The report comes after government advisors this week called on ministers to ramp up efforts to “hardwire” nature into its economic decisions given that 30 per cent of the critical services provided by the UK’s natural environment are in decline. Neil Sinden, director of policy and campaigns for CPRE, predicted that any economic benefits from the airport expansion would be outweighed by the environmental damage caused the area. “This is a terrible decision which threatens one of the few remaining areas of rural tranquillity in heavily pressured South East, “he said. “There were many in the aviation sector who considered this scheme to be nonsensical and a non-starter. If there are any economic benefits, which is unlikely, they will be heavily outweighed by the environmental damage that it will cause on so many levels. Lydd Airport failed to respond to a request for comment at the time of going to press. However, its executive manager, Hani Mutlaq, told ITV News that all safety, noise and environmental issues had been discussed in detail within the planning application. “I’m sure when the government made the decision it was based on very, very watertight arguments,” he said. Posted: Sunday, April 14th, 2013. Filed in News about Airports, Recent News.